When it comes to paranthas in Delhi, there are many places from small dhabas to restaurants where you can enjoy a variety of paranthas. But there are two special places, which tops the list. One is the most famous Paranthe Wali Gali near Chandani Chauk and second is Moolchand Paranthe Wala at Moolchand Metro Station. 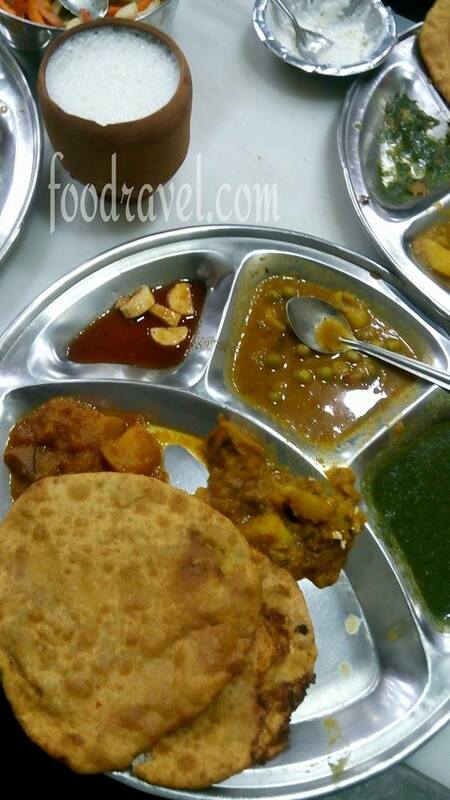 Both the places are always on the tongue of foodies and specially the parantha lovers. While paranthe wali gali is quite old and dates back to several years and is famous for Akshay Kumar as well as he used to work there, on the other hand, Moolchand guys are bit new with new taste. Both the places are good enough to visit especially if you are looking for some tasty paranthas. Though there are other places where you can have paranthas, but these two places are most famous in Delhi and nearby areas. Another such famous place is Murthal, which is Sonepat district of Haryana. If you are coming here by metro, get down at Chandani Chowk metro station on yellow line. From here you can either walk or get an auto riksha. It’s a narrow street and the shops are in the street. We visited Paranthe Wali Gali. There were few shops and out of which we went to Pt. Gaya Prasad Shiv Charan Paranthe Wala. Pure veg, they have a wide variety of paranthas. The shop was little congested and we had to wait for the seats as it was little crowded. There were few foreigners enjoying the paranthas. Finally we got in. I saw pictures of Jawahar Lal Nehru, Indira Gandhi and Ashay Kumar, visiting the shop. One parantha costs Rs. 70 and in one plate two paranthas are mandatory. Paranthas are served in thali with spaces for veg. Two vegetables will be given along with chutney and pickle. You can have lassi extra. We ordered Pudina Parantha, Paneer Parantha, Aloo Parantha and Lassi. Personally, I didn’t like the paranthas. Even my partner was disappointed. 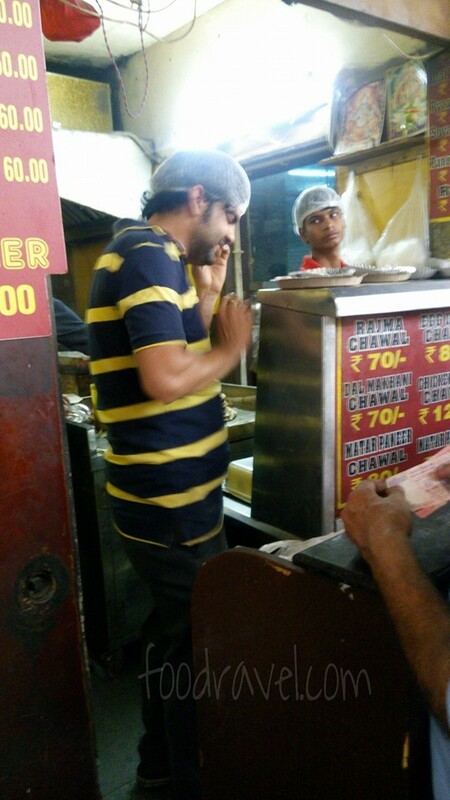 Though the place is highly respected and much famous for variety of paranthas but the experience was below the marks. The paranthas weren’t looking like what parantha should be. They were like puri. Small size and deep fried in the oil/ghee. For us, the place was overrated. We literally didn’t like the quality. Though I don’t say they aren’t good, but yes we both didn’t appreciate the quality. The way this place was hyped, there was nothing. It was nothing close. We just had to finish our thali. The only thing which we liked was the cold sweet lassi. 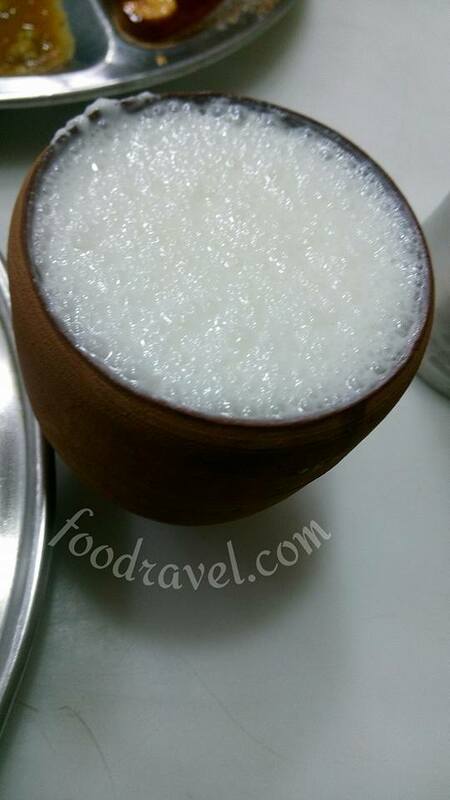 Lassi was very delicious and we enjoyed every sip. We paid the bill and left. One of the eldest shops, this shop was below the marks. People say the place had its days years back. But this time, we couldn’t appreciate it. Moolchand Paranthe Wala is located just at Moolchand Metro Station. This place is on violet Metro line which starts from Central Secretariat Metro Station and leads to Badarpur. Moolchand is fifth metro station from Central Secretariat, next to Lazpat Nagar. 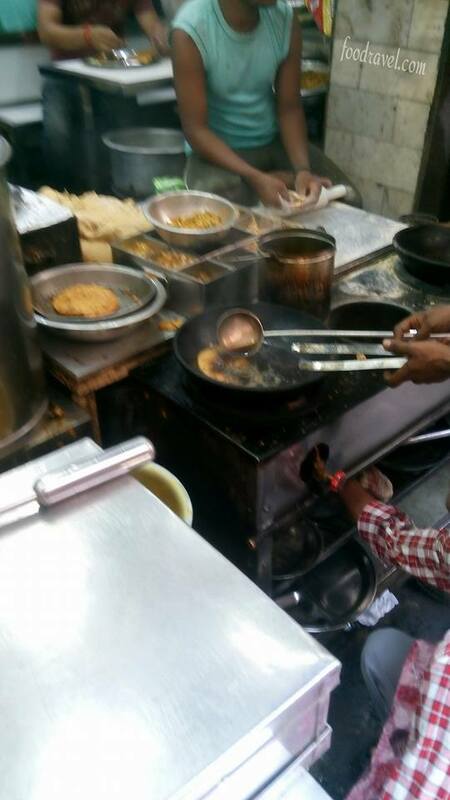 As you reach there and come out of the metro, you will feel the irresistible aroma of paranthas being cooked in ghee. The place is next to CCD just at the metro station. Order your parantha from the long menu and enjoy with a piece of quarter butter. There, I found the paranthas far better than our first experience. The paranthas were actual paranthas not like the previous one. 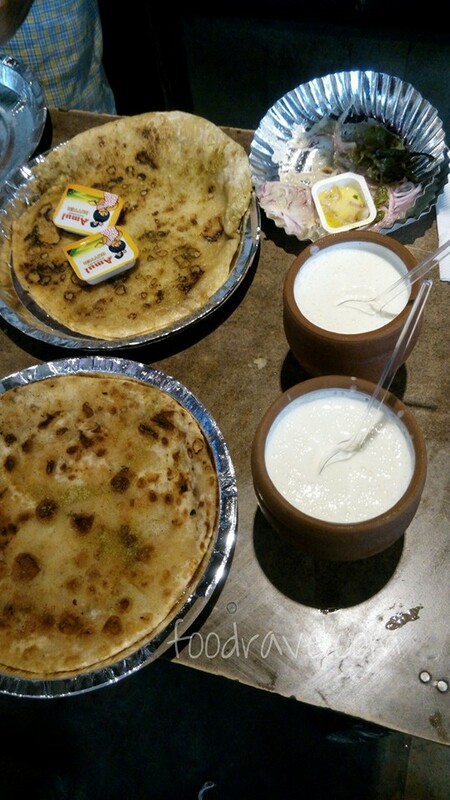 We enjoyed our paranthas and cold lassi. So, this place was truly spoken about its quality. The price was almost half as compared to the previous place and one plate had one parantha only. No mandatory items. This place was far better than that one. And the best thing was the service. Quick service with lightening service. Moolchand paranthe wala guys true deserve the hype they have been given. So, in our list, Moolchand Paranthe Wala won over the most famous Paranthe Wali Gali. 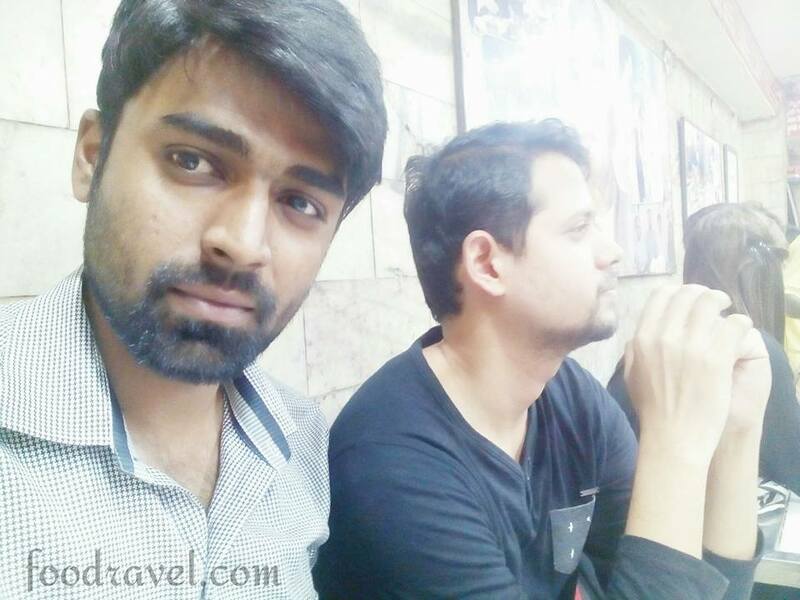 We will be exploring more places which are famous for their stuffed paranthas, aloo parantha and other varieties.